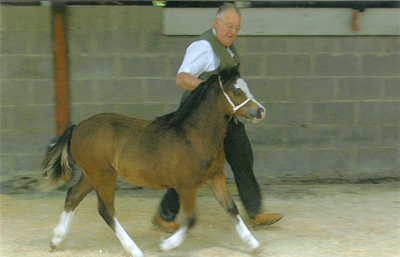 The Ceredigion Welsh Pony and Cob Association annual Foal Show was held on Saturday 22nd September at Penparc near Lampeter, hosted by Daniel and John Morgan of the Parc Stud. This well supported show was a welcome highlight in an otherwise bleak season for out farming community.The Association wishes to thank the Morgan family and other members of the Assocation for their hard work in ensuring the success of this well organised show. 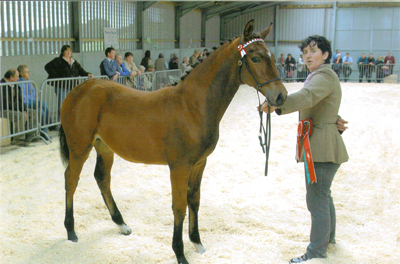 Many thanks also to the exhibitors, and of course the judges Mr Lewis Edwards, Maesgwyn Stud, Mr Clive Morse, Pennwood stud, Mr Geraint Thomas, Telynau stud, and Mr Wynford Higgins, Tireinon stud.The Association wishes to thank our sponsors, particularly Mr Peter Price, Fronerthig Stud, for donating £100 and sash to the Supreme Champion of the show and Mr and Mrs Geraint Jones, Nebo stud for donating £50 to the Reserve Champion.Thanks also to M.D.Lloyd & Sons and Ronin stud for sponsoring the rosettes and to those who generously sponsored the trophies and this year’s prize money. 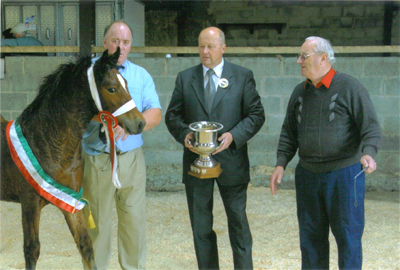 The Supreme Championship was judged by Show President Mr Eric Davies of the Maesmynach stud, Cribyn. 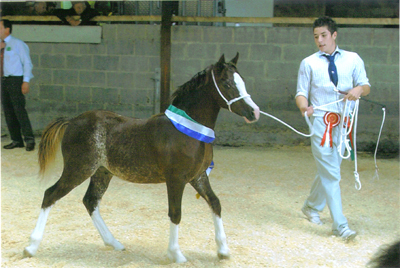 He chose the Section D colt YSTRADDEWI CHALLENGER presented by W.P.Lloyd Jones of Ystrad Llanio, Llanddewi Brefi for the Supreme Award. This upstanding bay colt has presence and action to match and has to be one of the outstanding products of the season. He is by Gwenllan Sam and out of Ystrad Victoria by Ebbw Victor.Reserve went to the Section C Champion, Trenewydd Sugar Ray, presented by B.J.Scully & J.L.Bowerman of Ebbw Vale, Gwent. 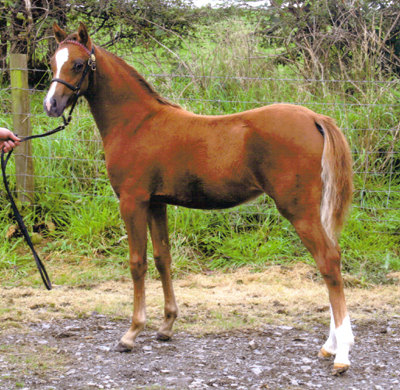 This attractive colt, expertly shown by young Jack Bowerman, again displayed the presence and free movement for which the Welsh breeds are justly renowned. He is by Llanwenarth Jack Flash and out of Trenewydd Megan.